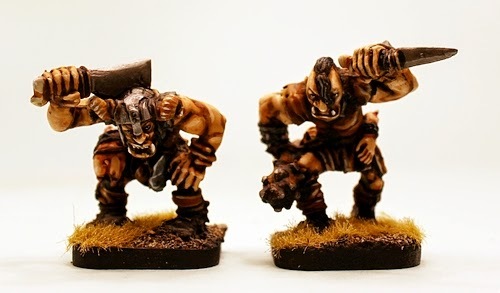 Alternative Armies: VNT3 Orrid Ogres Released! VNT3-01: Ogre with big cleaver and horned helmet, chainmail armour, skulls and flint blade at his waist. A whole pig tied to his belt! VNT3-02: Ogre with spiked club and sword, a ball and chain on his back, skulls and a severed arm at his belt! 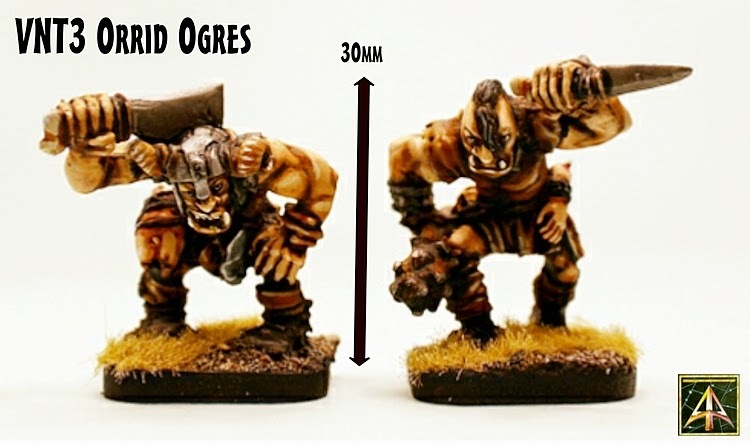 These miniatures are not supplied with bases and are supplied unpainted. Select your choice from the drop down product menu. Choose from a pack or three packs with a 10% saving applied. 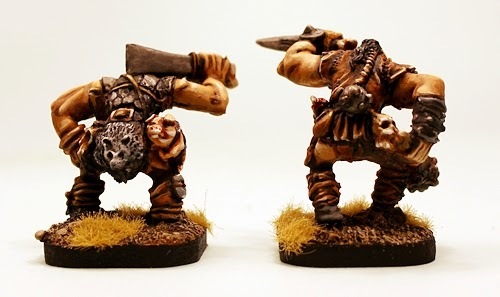 The Alternative Armies classic high fantasy range dates from the period of the late 1980's to early 1990's through to the end of that decade. Designed by leading names in the wargaming industry and highly successful in its day this range has been on hiatus. Alternative Armies, under the name 'Project Darkhelm' is dedicated to re-mastering, re-molding and re-releasing this entire range back onto the market. We will be doing this work at a measured pace and a weekly rate maintaining high quality and excellent pricing. During and beyond this process Project Darkhelm will see the range continue to be expanded in the mediums of white metal and high grade resin using top industry designers in new releases. 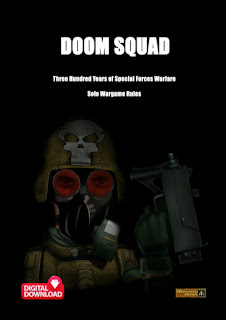 Every pose in each pack is unique with no duplicates making them perfect for skirmish wargaming, roleplaying and unit building for any battle system. 52517 Von Rotte Dwarf Command Set Released!